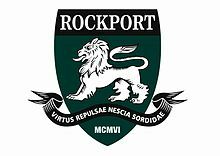 Rockport takes pupils up to age 18, and has recently started to offer A Levels at the school, having previously offered up to and including GCSE’s. The school is part of the round square, an international organisation that focuses on international exchanges of pupils and staff. It has a total of about 180 pupils of which approximately 20 are Boarders. Based in Northern Ireland, Rockport’s nearest international airport is Belfast which is 5 miles away. There are many European flights from Belfast and regular shuttle flights to Heathrow airport on the UK mainland.